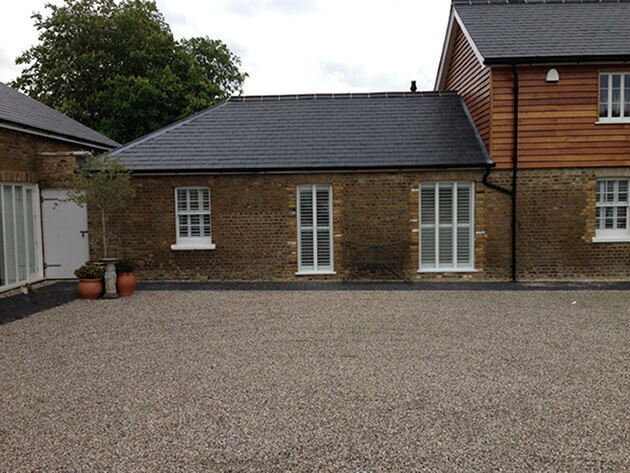 We were asked to visit a barn conversion in our local area of Bromley, Kent to design and install some window shutters to this part of the property. Due to this area of the home being south facing the owner was after a solution which would not only create shade in the summertime, but act as great insulation in the winter months. 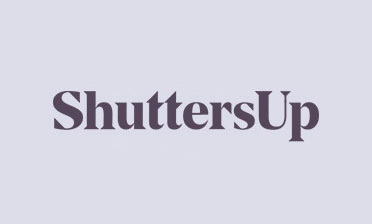 Our shutters are perfect at achieving both, which makes them the perfect window dressing for all year round. 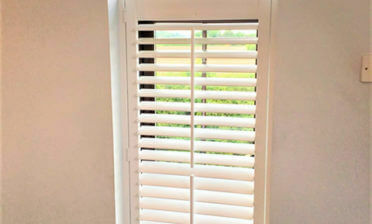 The shutters picked for the job were from our Fiji Range, which is a beautiful hardwood renowned for its rigidity. We custom made the shutters to fit each window recess perfectly using full height shutters with a mid-rail, which allows for control of the shutters independently above and below the rail and also helps to strengthen the shutter. 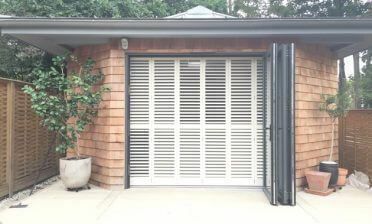 We used 89mm louvres with a hidden tilt rod system and finished them all in pure white to match the window frames.